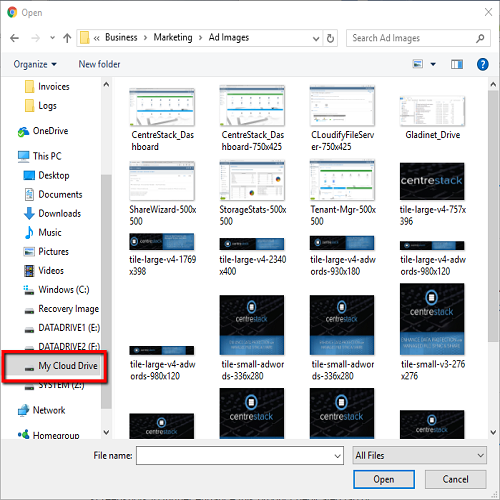 Install CentreStack’s brandable, multi-tenant software in any datacenter or on-premise to create a Dropbox alternative that you own and control. The platform is designed to become a critical component of your complete data protection strategy as it imports file server data, NTFS permissions and Active Directory identities with policy-based administration. Address enterprise security requirements by enabling remote access to existing file servers without replicating data to the cloud. 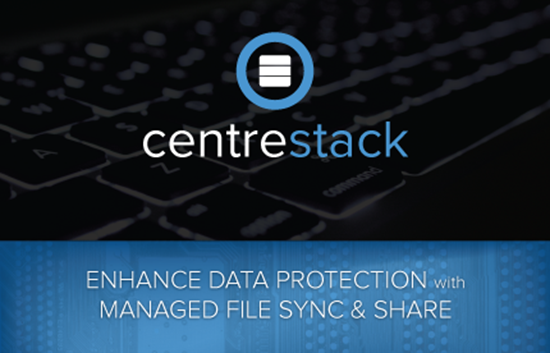 CentreStack provides proxied access to file servers using their existing data and permissions while adding ransomware detection, file versioning, auditing, device management and more. Enhance productivity and security while maintaining data control. Many MSPs report significant reductions in support costs after implementing CentreStack because of reductions in VPN tickets and a consolidated mobile access and collaboration platform. Try CentreStack yourself to see how it’s high margin revenue and support costs reductions combine to improve your bottom line as you increase market share. Requirements: CentreStack versions 8.3 or greater. 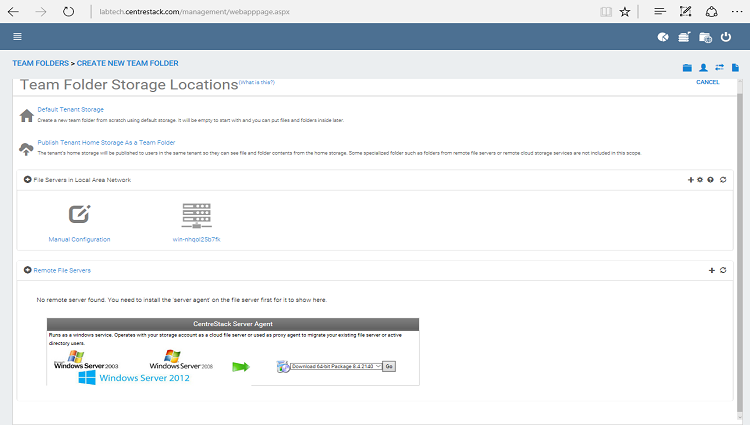 ConnectWise Manage versions 2016.4 or greater. MANAGE CONNECTWISE DOCUMENTS • Instant previews of selected document. • Edit documents in ConnectWise using local applications or web applications. 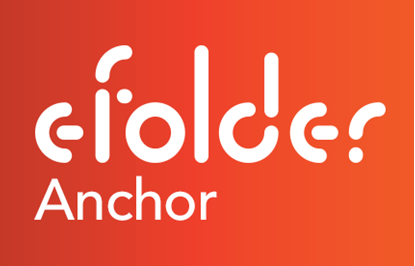 • Collaborate with file locking, versioning, notifications and more. • Share files with anyone. MAKE MONEY WITH CENTRESTACK • Enable file sync and share for each of your customers in minutes. • Offer your customers a better alternative to OneDrive, Dropbox and Google Drive. • Use billing and agreements to generate monthly invoices. COMPLETE MANAGEMENT INTEGRATION • Manage all your file sync and share customers within ConnectWise. • Access all CentreStack management functions from ConnectWise. 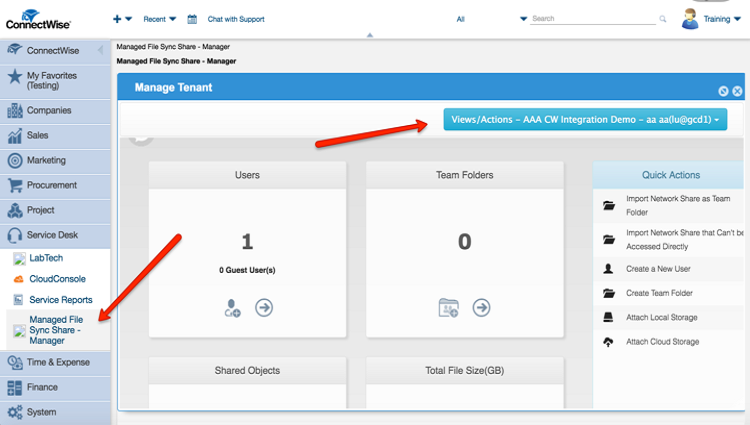 GET STARTED IN MINUTES • Integration is easily configured from the CentreStack partner portal. • Integration supports hosted and self-hosted ConnectWise partners. 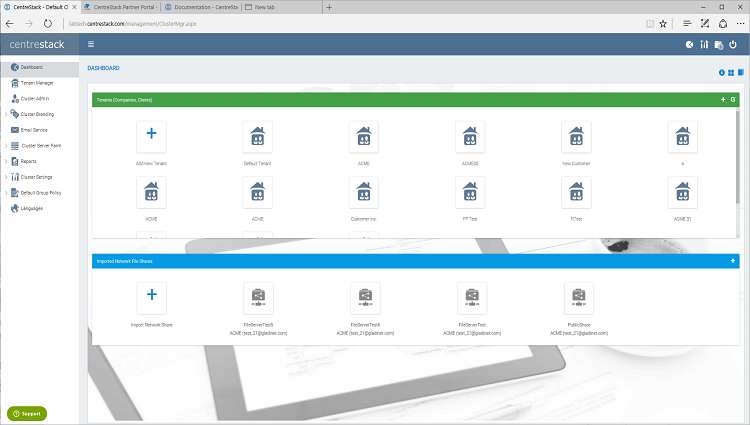 Automated provisioning of file sync and share for Labtech clients. If you have purchased licenses for this product through ConnectWise, we provide Third Party Support assistance. If you have any application issues, please email Help@ConnectWise.com.